David Ortiz hit two home runs - including the 500th of his career - and Rick Porcello turned in another strong performance as the Red Sox beat the Rays 10-4 at Tropicana Field. Ortiz hit #499 in the top of the first inning with two aboard off Tampa Bay starter Mike Moore to give Boston an early 3-0 lead. Career home run #500 came in the top of the fifth inning, again off Moore. Ortiz was greeted with hugs by each member of the team including the pitchers in the bullpen who came racing in after the historic blast. 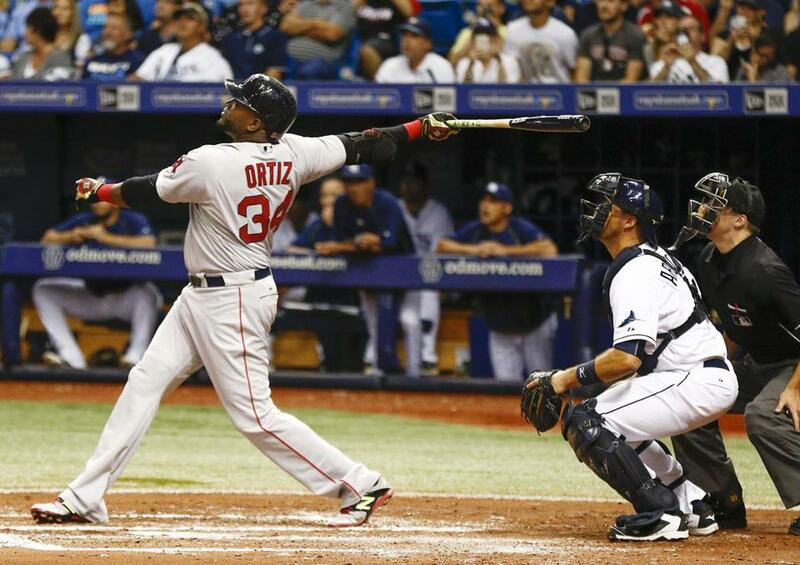 Ortiz had three hits and four RBI's to lead the Red Sox. The milestone night came almost 18 years to the day of his first career home run which came on September 14, 1997. Porcello went seven innings in securing his eighth win of the season. He allowed three runs on five hits and three walks while striking out eight. Dustin Pedroia and Mookie Betts also went deep for the Red Sox who rapped out thirteen hits. They each had two hits on the night.